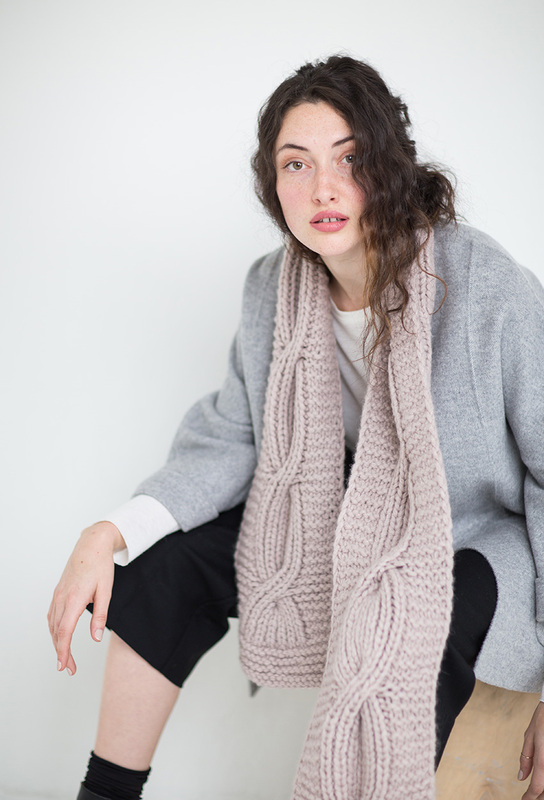 Varm is the consummate winter weather accessory—lounge by a fire snuggled with the throw or add the scarf while taking snowy hikes in a winter wonderland. 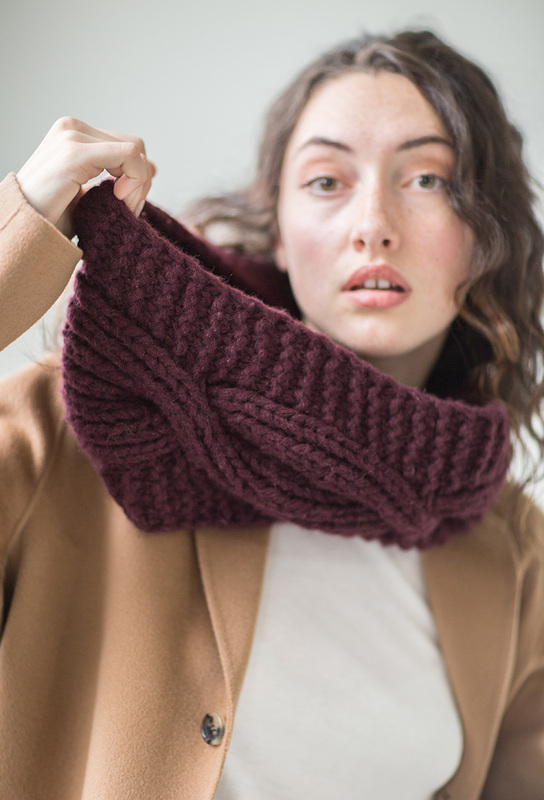 All three—throw, scarf, and cowl—feature a reversible cable beautifully proportioned with the spacious scale of HYGGE. With three options in one pattern, there is a little something for everyone!